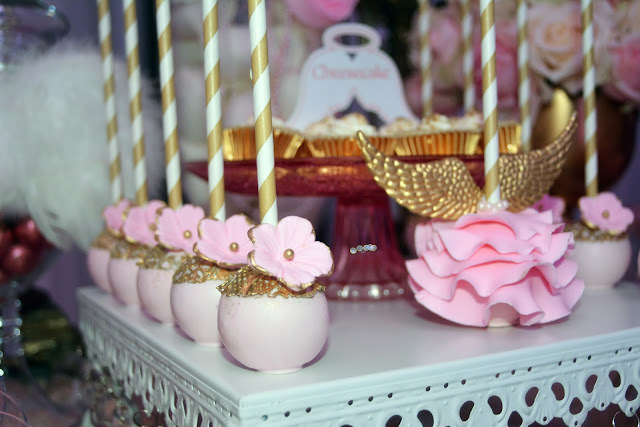 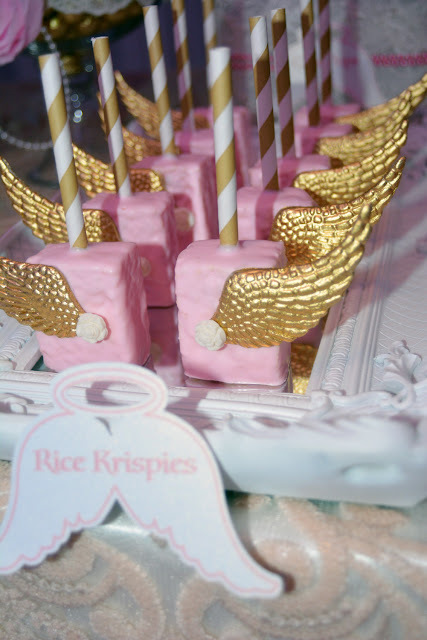 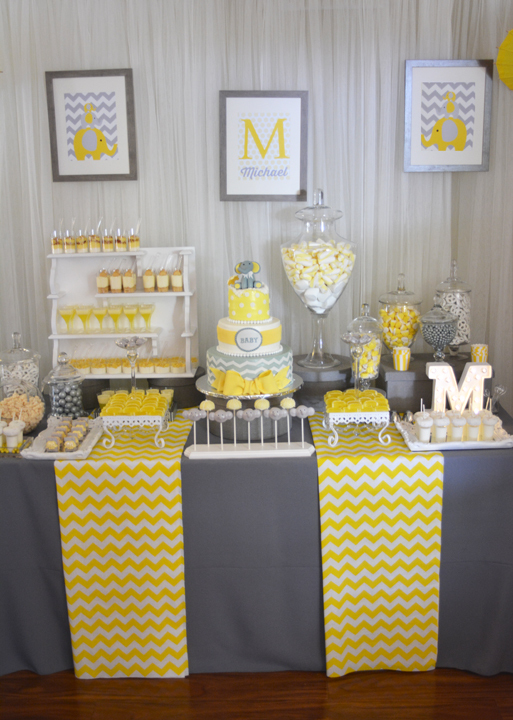 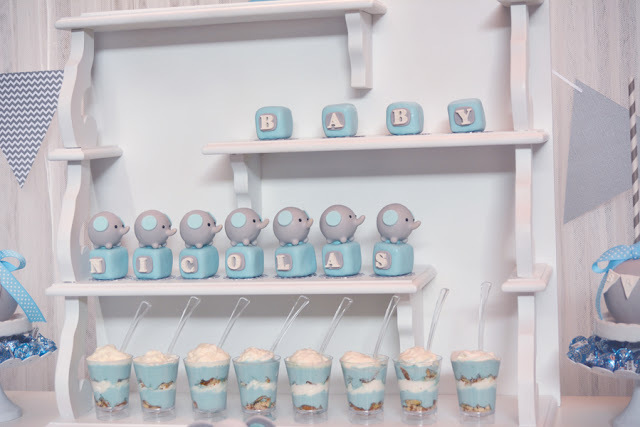 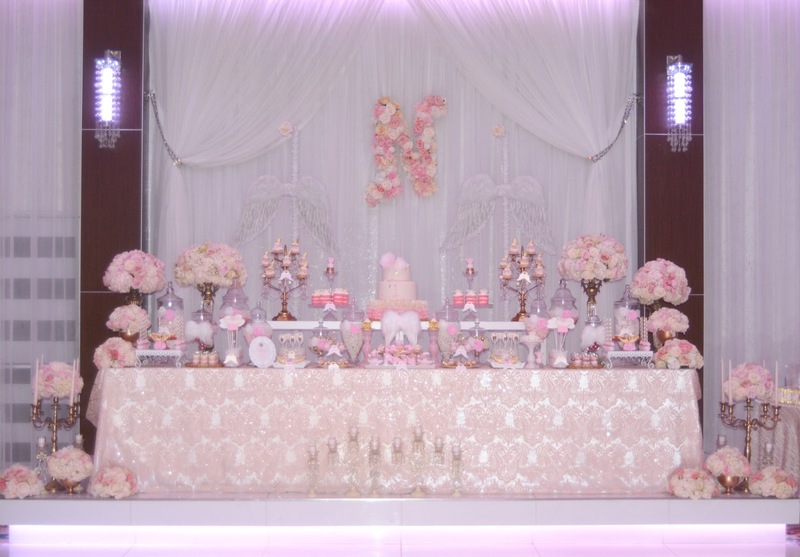 This ethereal event was designed for sweet, little Nicole's 1st birthday celebration. 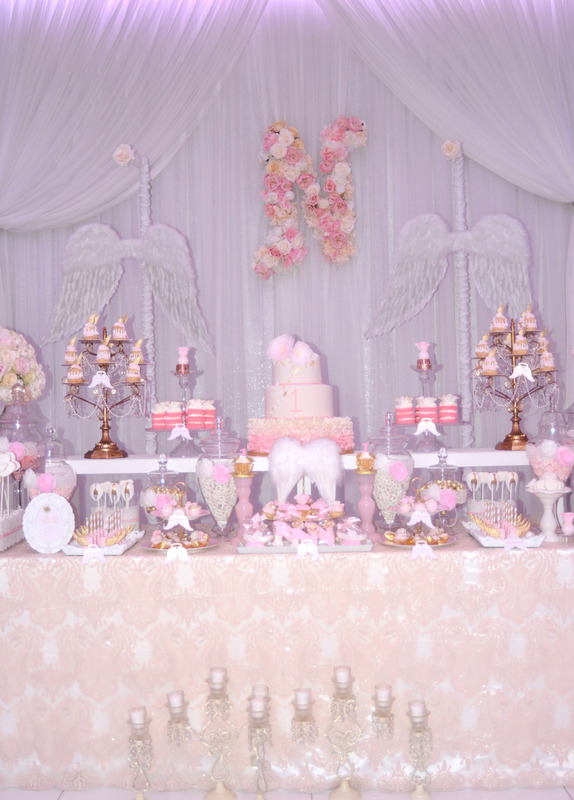 With white Angelic wings, soft hues of pink and gorgeous blooms, we created a dessert table fit for an Angel. 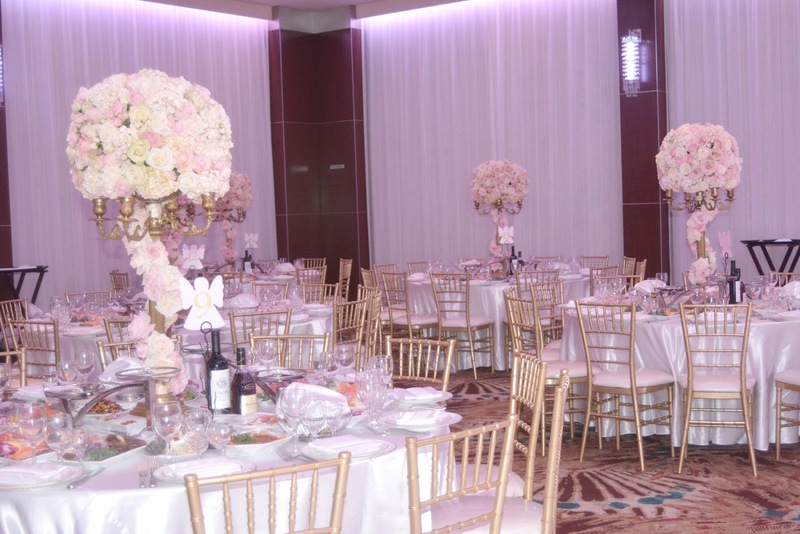 Incorporating beautiful lace, with the angel feathers and pretty flowers, this event was so magical. 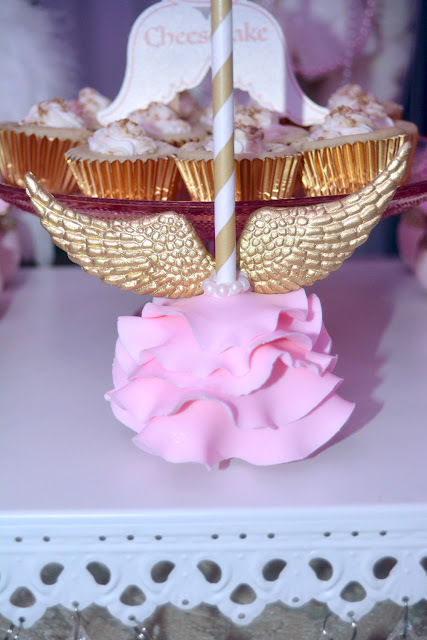 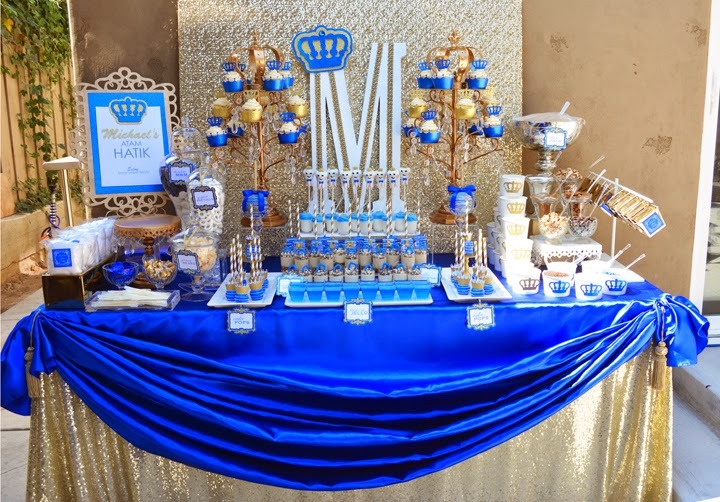 All of the desserts were custom made, specifically designed to match all the decor details. 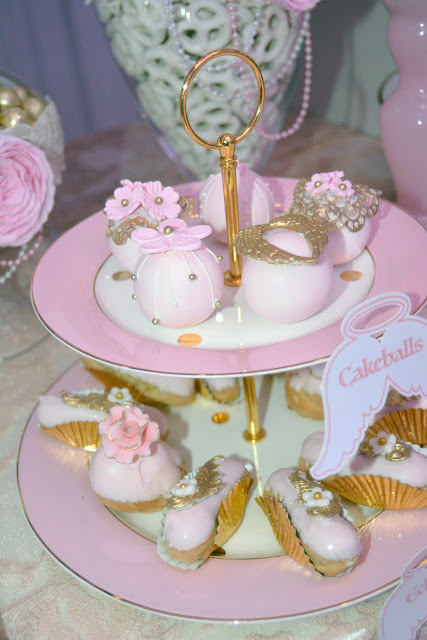 From fondant and hand made sugar flowers to decorated candy jars with pearls and silk flowers, our hostess was in love! 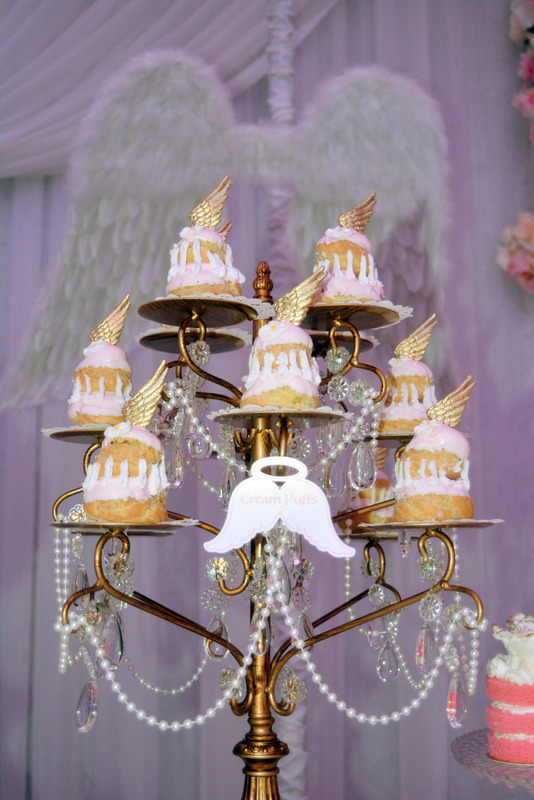 French double cream puffs topped with angel wings. 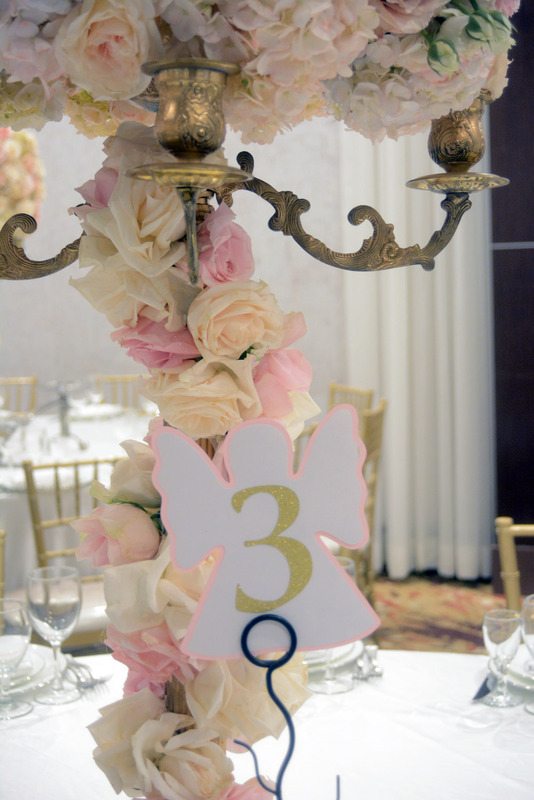 These centerpieces were a dream. 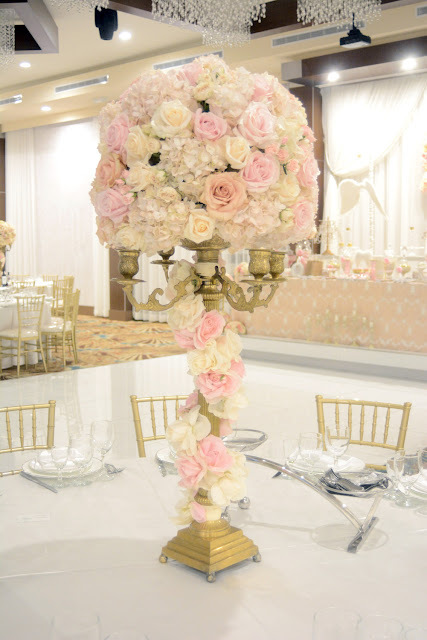 Garden roses and hydrangeas cascading down the stem of the candelabra. 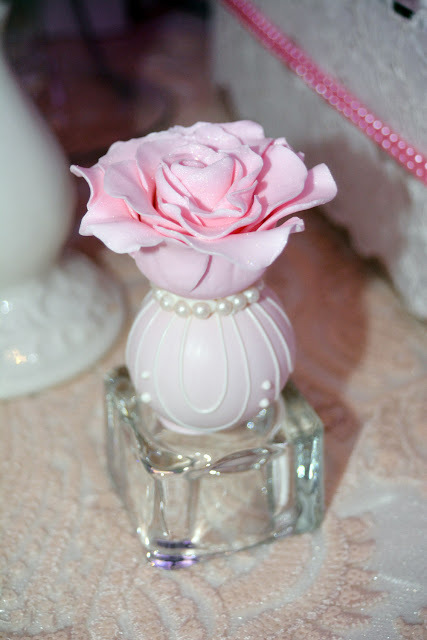 Absolute beauty!